German auto parts giant Robert Bosch GmbH has agreed to plead guilty to price-fixing and pay a $57.8 million fine for its role in conspiring to rig bids for spark plugs, oxygen sensors and starter motors sold to the Detroit 3 automakers, the U.S. Department of Justice said today. 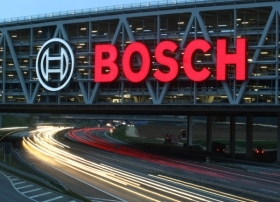 Bosch is the world’s largest automotive supplier. It is one of the few non-Japanese auto parts suppliers to be indicted in what has become the United States’ largest-ever largest price-fixing investigation. Similar investigations have been ongoing by authorities in Canada, Europe and Asia. A one-count felony indictment filed today in U.S. District Court in Detroit alleges that Bosch conspired to fix the prices on the parts sold to Ford Motor Co., General Motors and what is now Fiat Chrysler Automobiles between 2000 and 2011. The company also conspired to set the price for parts sold to equipment maker Andreas Stihl AG & Co., the Justice Department said. The single indictment also covers an allegation that Bosch conspired with other suppliers to fix the prices of starter motors sold to Volkswagen AG and its U.S. subsidiaries from January 2009 to June 2010, the Justice Department said. Bosch employs 360,000 people worldwide and 25,000 in North America. It is the largest of 34 companies and 29 executives that have pleaded guilty or agreed to plead guilty in the ongoing investigation into price fixing and bid rigging in the auto supply chain. Collectively the individuals and companies have agreed to pay a total of nearly $2.5 billion in criminal fines. Brad Wernle contributed to this report.